Sign up for free and just shop with Bigbasket as normal. Our average member earns over ₹5900 cashback a year. The online grocery store in India has recently started becoming popular with some companies getting into the business. While it consists of big players like Amazon Grocery Store, it also has smaller ones like Bazaar Cart. However, it all started in India with the big daddy of online grocery store in India, BigBasket.com. Launched in the year of 2011, initially it used to cater to only three cities, Bangalore, Mumbai, and Hyderabad, however, over the years owing to its fantastic delivery and massive product catalog it has grown at an exceptional rate harboring to other cities such as Delhi, Kolkata, Chennai, Coimbatore, Gurgaon and many more. You can shop with your credit card/debit card and even pay by cash or Sodexo coupons during delivery. 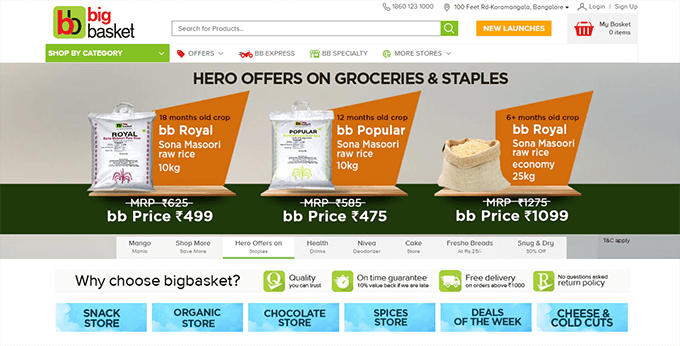 Why should I shop with Bigbasket? Because, why not?! If you are a busy person who doesn’t have the time to visit the normal market and browse items one by one, then it is the thing you want. No more hassles before or after office, no more traffic or paying for parking – just sit cool on a chair and order all your monthly grocery or favorite items online and it will all be delivered right at your doorstep at your own convenient time. Better than doing all that yourself, right? The online grocery store has a fantastic delivery service and you will be astonished by the huge catalog they have that you’ll probably never find in your local supermarket and the best part is you’ll be getting absolutely fresh groceries at better prices than your average market. 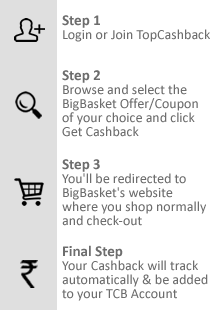 While you are there don’t forget to check out our BigBasket coupon codes to save more on buying grocery online. Purchase beauty and Hygiene products from BigBasket and enjoy the additional offers on top. Enhance your beauty with a wide range of beauty products including soap, face wash, baby wipes, body lotion, shampoo and much more. Buy mouthwash, toothpaste, sanitary pads and much more from Big Basket with amazing discounts. Shop via TopCashback to get an instant discount with the latest BigBasket discount coupons and maximum cashback for a super saving online shopping experience. Fruits and Vegetables: Looking for peeled and cut ready to eat fresh fruits or the fresh ones that you buy from the supermarket? The portal has every option available right away which you can avail from a couple of simple mouse clicks. Get all your daily fresh vegetables starting from potatoes and onions to sprouts and carrots including fresh herbs and seasonings for those yummy curries. International fruit and vegetables like Zucchini, Kiwi, and Lettuce are also available in this section. Grocery and Staples: Have you always been wondering how to carry all that monthly grocery to your home all by yourself? Well, Bigbasket has thought it through. You can get all your monthly items like rice, pulses, ghee, edible oils and branded food like the Pillsbury and Ashirvaad atta, Amul products. From groceries to baby food everything you require delivered to your doorstep by their express delivery service. Starting from flours and sooji to masalas and spices, you’ll find everything in the grocery section. TopCashback provides the latest Bigbasket promo codes and maximum cashback offers to save more on buying grocery online. Beverages: This section of the website is very well equipped with products that you usually won’t even find in a regular supermarket. Apart from all the regular health drinks like Horlicks and Bournvita to general fruit juices and mineral water, you can also find niche products in the Ayurvedic and Organic categories like Aloe Vera juice, Green tea and more. It also stocks regular soft drinks like Coke, Pepsi and items in the tea and coffee from all the leading brands like Lipton, Brook Bond, and Nescafe. Personal Care: You can get a large variety of products ranging from cosmetics to personal hygiene products on the portal. Grooming items such as pedicure-manicure sets to general skin care are also available in this section. This section also consists of deodorants, perfumes and hair care products to baby care and fashion accessories for kids. Household: Get common home accessories such as detergent, cleaning tools and cookware including Tawas, kadais, and pans for everyday use at great prices on BigBasket.com. TopCashback provides you with the latest BigBasket vouchers on these categories, so shop with them to avail instant discounts and maximum cashback. You can also get standard kitchen and dining accessories like induction cooktops, kettles, dining sets, glasses and many more in this section. While you’re at it, do check out the electrical section if you’re in need of CFLs, bulbs or tubes for your home. 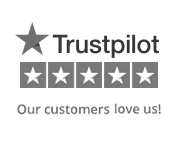 Pet care and car care are also included in this section of the portal. You can even save more by making bill payments for online grocery by using the master and visa cards. American express, Kotak bank, HDFC Bank and Axis bank card users can earn additional reward points while making bill payments online. Meat:Meat: Apart from the general chicken and mutton, it also has a dedicated pork section where users can get a large variety of meat items. The meat section also consists of a fish section where fresh fish is available ranging from freshwater fish like Rohu and Catla to seafood like Tuna, Prawns and more. 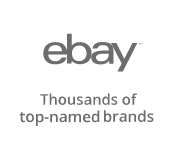 TopCashback is the largest cashback company in India offering the maximum cashback, highest coupon discounts and promo codes on BigBasket items. We give back 100% cashback to all our customers and are the only company in India to do so. Saving money on buying grocery online made simple, join TopCashback and shop normally. The cashback will be credited to your TopCashabck account which you can transfer it to your bank account using net banking for easy withdrawal. The best part is we are absolutely free to join and free to use website! So what are you waiting for? Join TopCashback and start saving on your online grocery shopping today! bigbasket.com is India's largest online supermarket delivering all your personal and household needs right to your doorstep in 10 cities in India! Choose from thousands of products ranging from grocery, staples, dairy products, vegetables to household and personal care items.